Today’s companies recognize that information-based marketing, or simply selling products and services, will only get a business so far. A shift to purpose-driven marketing — communicating how your products and services impact the world at large — allows brands to connect on a deeper level, turning consumers into loyal customers. That’s why your brand is one of your biggest assets. It represents who you are, why you’re doing what you’re doing, and what makes you different from your competition. It also reflects the overall experience people have every time they interact with your organization. Building your brand is a valuable investment that will help you communicate and connect with your audience. In order to successfully brand your company, it’s critical to understand your brand’s purpose: the societal and cultural footprint your organization makes upon the world. All companies start with an intention, a core set of values or guiding principles, even if they don’t officially define them. What do you value as a company? Providing a quality product? Operating with integrity? Transforming the way people do business? A strong brand foundation features distinctive values, ones that your employees can remember and that have meaning for them. Your values need to be activated organizationally within your company in order to have meaning. For example, retailer Nordstrom’s brand identity has long included exceptional customer service as a core value. Nordstrom demonstrates this value by hiring quality staff and offering one of the most customer-centric return policies in the industry. Organizationally, Nordstrom’s understands that a brand is only as good as its actions. It’s not enough to say, “This is who I am,” if you aren’t willing to show your customer what that means for them. Find distinctive ways to convey your values internally and externally, and don’t take the easy route with dime-a-dozen words like “integrity.” The word is used so often that it could describe thousands of brands, from Coca-Cola to GE to Verizon. Look to the deeper meaning of your values and find fresher, more unique words that convey the same meaning in a more ownable way. Once you’ve defined your values, activate them in a tangible way to create both credibility and longevity. 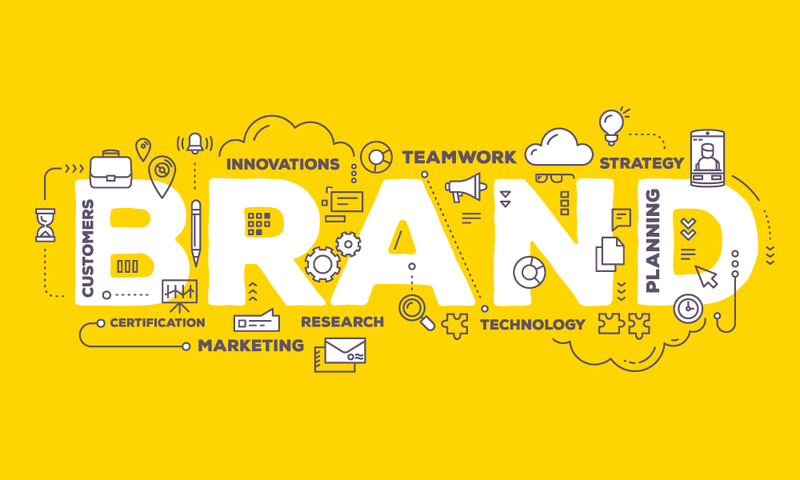 In creating a strong brand identity, it’s important to understand not only what your company does, but why you’re doing it. The best brand identities are created with a clear understanding of your business objectives and strategies. Craft your mission and vision based on your company’s values. Your mission grounds and anchors you in your purpose — it’s the “what” of your work. Your vision inspires you — it’s “why” you get up in the morning. It’s the larger impact your company has or is working to have. Create a mission statement that communicates your active purpose within the world. It reflects your practical, everyday work — what you’re doing every day to achieve your higher order purpose. Your vision is more aspirational. It’s the global view of your organization and who you want to be in the years to come. It acts as an organizational north star and reflects how your company will shape culture, society and the environment in the future. Like the rudder on a ship, your brand identity helps steer your company through an ever-evolving landscape. No matter how much the marketplace changes, you can adjust and align to the larger objective of where you want to be. Once your brand foundation is defined, it inspires the creation of your brand personality, tone of voice, visual identity and overall brand story. Your brand personality helps to define who you are as a company and what makes you different from the competition. It helps people to experience your company even before they make a purchase or walk through your doors. Your personality and tone of voice help to create a consistent message across all channels, while your visual identity (logo, color palette, photography style, etc.) creates a brand experience your audience can engage in and get inspiration from. With your unique brand personality, tone of voice and visual identity established, you can then bring your overall brand story to life. Your brand story tells people in an instant who you are and sets the stage for your brand positioning and communication across channels. Ultimately, a brand is a moveable feast, an ever-evolving dialogue with the world. In taking the time to establish a consistent and compelling brand identity, you’re setting the framework for engagement with your target audience. A lasting brand draws consumers into a dialogue and relationship that, if done well, should last for generations to come. What challenges are you facing as a company? How can you better align your business objectives to how your brand is being expressed?